Love and Long, L.L.P. and Porzio, Bromberg & Newman, P.C. have agreed to combine their respective expertise and services in appropriate circumstances to provide joint representation of clients. Love and Long, L.L.P. is a boutique, minority and woman-owned business practicing in the area of banking and institutional investing, corporate law, real estate, municipal and public agencies law, and related litigation. It has offices located in Newark, New Jersey, New York City and Philadelphia, Pennsylvania. Porzio, Bromberg & Newman, P.C. provides representation in over 27 practice areas, including corporate law, mergers and acquisitions, land use, real estate and construction, litigation, environmental law, governmental affairs and intellectual property. PBN has over 220 employees, including 90 attorneys. It has offices located in Morristown, New Jersey, New York City and Princeton, New Jersey and Westborough, MA. 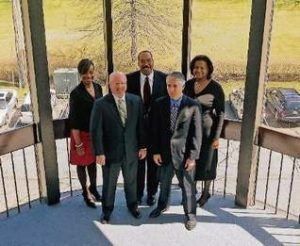 For more information about the firm, visit www.pbnlaw.com.